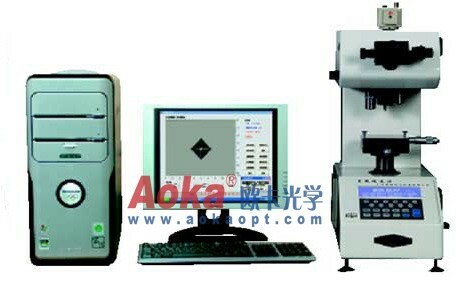 The HVS-1000A micro hardness tester with picture analysis system, it is equipped with computerized measuring system, with auto-motorized turret of precision position. It displays the HV hardness or HK hardness values. The machine with the friendly menu combining with the convenience-measured way, reduced the artificial error, increase the accuracy of the measurment Since 96 years, the latest type has occupied the leading position of the hardness tester in the country. 步长 (In step of ) 5 sec. Auto measurement, picture analysis, accurate correction, Print out or save in files the measured data, image, graphs and layer hardness gradient graph.